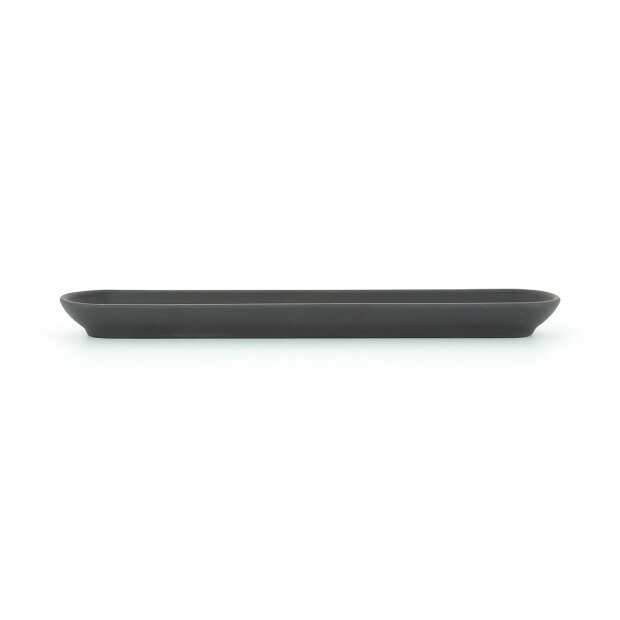 This serving baguette will present your cookies in a sophisticated way during your next cocktail party, better than a dinner plate. 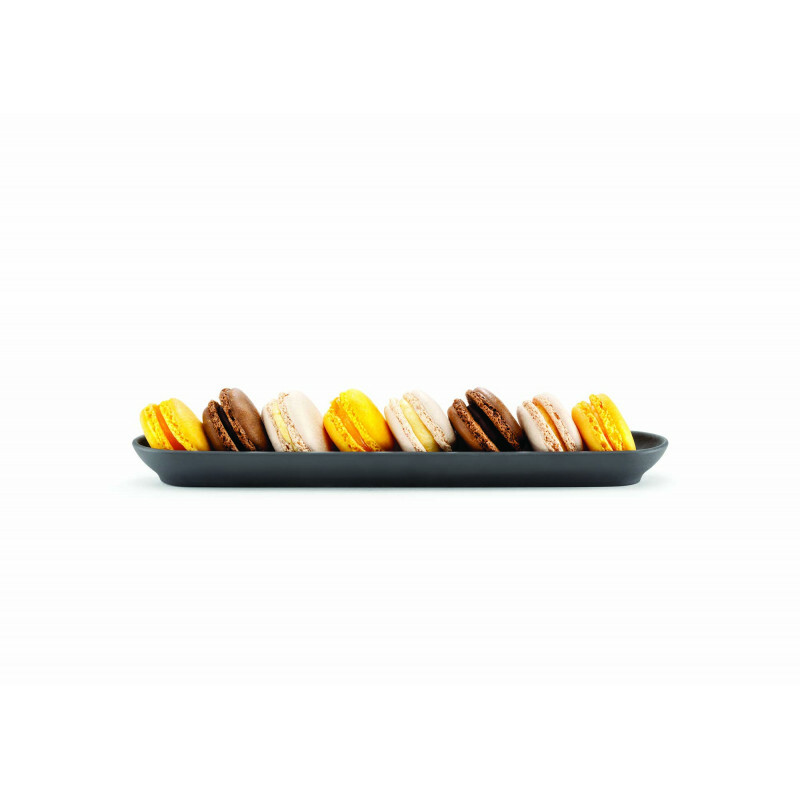 This piece is made of Basalt black porcelain: the colors of olives, crackers, nibbles and macaroons will pop beautifully on the table, serve any appetizers for parties. 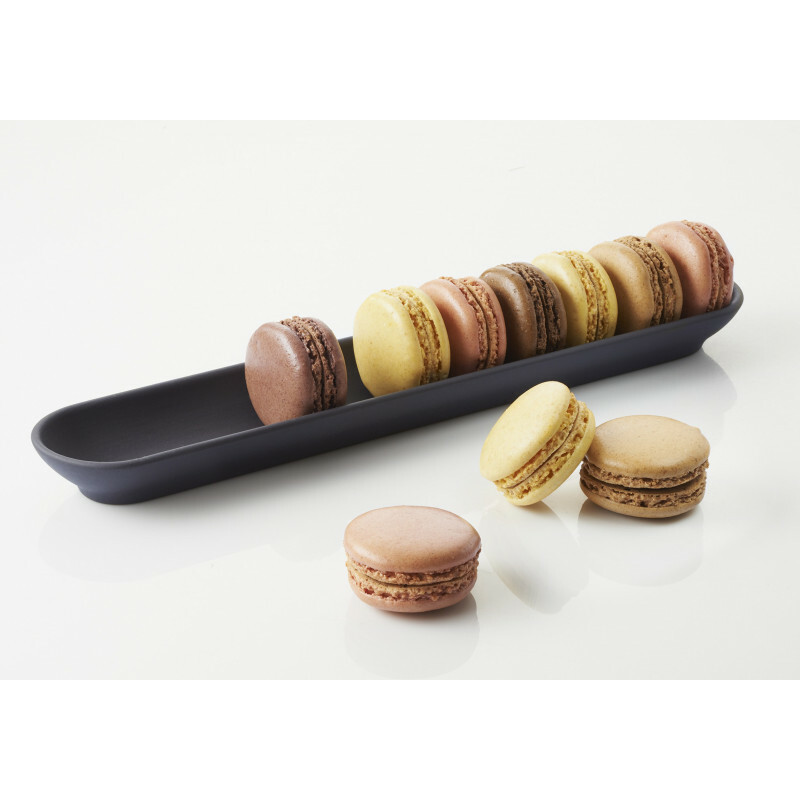 You can serve it on Basalt tray and add for example a mini bowl if you want to present appetizers in the same plate. 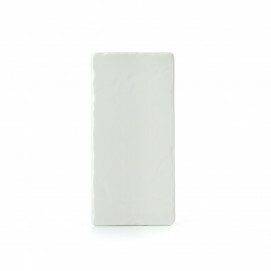 Dishwasher safe and non-porous, no stain or odors will remain between each serving. You can also heat your hot bites directly in the tray, as our porcelain is microwave and oven safe. 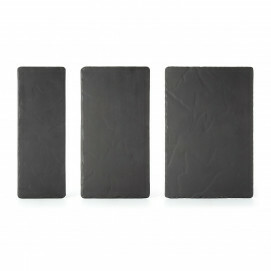 This Basalt slate stone look serving baguette is 100% food safe, and environment friendly.